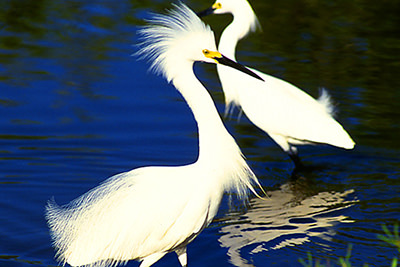 The Cayman Islands are home to more than 150 species of birds (not including migratory birds which pay stopover visits). One of the most popular birding sites is the Booby Pond Nature Reserve on Little Cayman which is managed by the National Trust. About 10,000 Red Footed Boobies - the largest population in the Western Hemisphere - can be viewed through telescopes set up at the Visitor's Center. Other exotic seabirds frolic in abundance. On Cayman Brac the greatest number of different birds can be seen from October to April when you might easily count 50 to 60 species on a given day. The Brac is ideally located as a stop off for many birds on their seasonal migration to the West Indies, Central and South America. Over 70 species of non-breeding wetland migrants have been observed, including egrets, sandpipers, flamingos and spoonbills along with year-round residents, the West Indian whistling-duck and several varieties of heron. 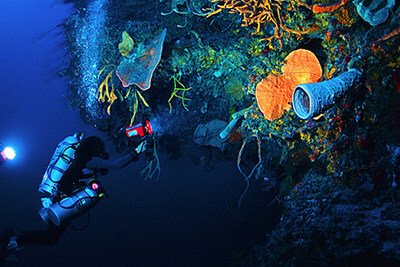 Nearly 50 dive sites in the crystal-clear waters surrounding Little Cayman make this one of the best diving sites in the world. Perhaps the most famous site is the "Bloody Bay Wall," which begins just 18 feet below the surface and descends to more than 1,200 feet. 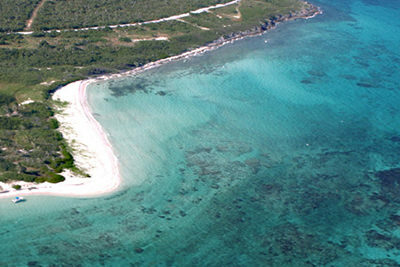 Snorkeling and shore diving is also spectacular off this tiny sparsely populated island. 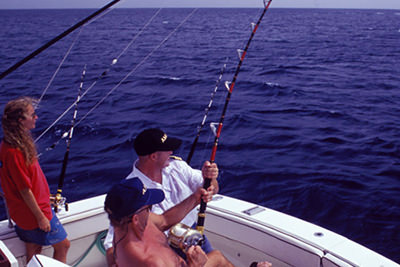 Little Cayman is a paradise for deep sea fishermen, and the bonefishing is considered to be some of the best in the world. Also just waiting to be hooked are plentiful wahoo, marlin, barracuda, tuna and dolphin, as well as grouper, snapper, and yes, sharks! Grain for grain of sand, some people believe Little Cayman's "Point of Sand" is the most beautiful spot in the Cayman Islands. Located on the island's east side, "Point of Sand" is the perfect place for picnicking, wading or swimming, and, of course, great picture taking.